2. DIY or Custom Made? 3. CMS+Hosting or a Website Builder? 4. How Much Does It Cost to Start a Blog? Blog is an informational website type, which ideally works for traffic monetization. By regularly updating the topic, a blogger will drive the audience, causing the desire to comment on the posts, make up new topics for the articles, increase the number of branches, make information more detailed and quality. What matters most is that you should imagine the audience the blog is meant for. Now, you just need to create a blog as a website, but not as an idea. When it comes to DIY creation of a perspective blog, WordPress proves to be the most suitable CMS, while Wix is the best website builder that comes up to this purpose. Website builder is an out-of-the-box system, which allows launching a personal blog and, thus, is a perfect solution for newbies. CMS requires manual hosting installation and extra plugins. It also initially implies minimal niche knowledge and works best for the most experienced audience. What solution is worth the attention? Let’s explore the platforms in terms of manual blog creation prior to deciding on the best solution for different purposes and audience types. WordPress is a free CMS with a stunning amount of users across the globe. It is the most popular in its niche. The out-of-the-box version of the platform mostly works best for launching blogs. The developers don’t try to include the entire toolset into the distribution kit. A user has to decide what plugins to install to get the functionality required for a decent realization of a certain task. If you need a blog and are ready to work with CMS and hosting, then it makes sense to master WordPress. It is quite simple (if not even primitive) at first sight. Suppose, the stock Wix version looks more suitable for the completion of serious tasks. WordPress, in its turn, initially provides the blank framework that can be as functional as you need. WordPress offers thousands of templates. All of them are available directly in the dashboard. You can use them for free. The quality varies a bit, but there are lots of decent samples. Apart from that, many web studios develop special design themes for this CMS. You can find dozens of thousands of them on the web. Each template has its own design customization settings presented in a dashboard. This is flexible, convenient and powerful. The search engines like websites created with WordPress. You won’t face any website promotion problems, if you use the right approach. The only challenge is to start working with CMS. It is possible to learn how to install the service on the hosting and master the basic settings during one evening, if you have such a desire. WordPress is the simplest and the most appealing CMS. This is the ideal solution for blog creation. In less than 10 minutes of working with the system, you’ll be able to publish your first post. The interface contributes to the intuitive perception of the system. 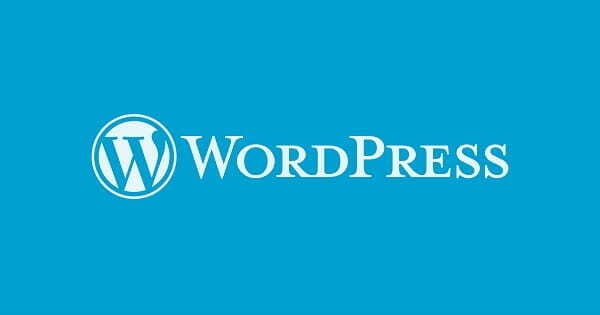 WordPress niche specialization is the creation of blogs, promo websites and landing pages. It’s also possible to complete other tasks with the system, but you will need extended coding skills (at least, medium PHP skills along with HTML/CSS knowledge) and more plugins. If you are a newbie, we don’t recommend jumping into WordPress right from the start. Wix is the most popular universal website builder builder available in the contemporary web design niche. It comes with a powerful feature set, advanced functionality and extensive design customization options that make it possible to launch different website types with diverse complexity levels – from a simple landing page and up to an eCommerce website. Launching and managing a blog with Wix is super easy as the system has out-of-the-box functionality, which is more than enough to reach a decent result. Intuitive website editor, convenient SEO tools, reliable hosting, mobile optimization, appealing blog templates, extensive choice of design customization tools, reliable hosting, HTML adding option, several subscription types. These are only a few features that make Wix stand out from the crowd<?span>. To create a blog with Wix, just sign up with the platform and select the “Blog” website type. The website builder offers a set of special blog templates to come up to various preferences, interests and occupations. The templates feature high quality and can be easily customized to give your blog the required design. Due to the intuitive nature of the website builder, the entire design customization process doesn’t take it longer then an hour or so. This generally depends upon the type of the blog you run and the updates you plan to make. Adding new posts is fun, simple and convenient here as well. This can be done in the dashboard of the system with a few clicks only. Apart from publishing a post, you can make use of the social networking tools, photo and video galleries and other options you will encounter. User comment option is also available here, making it possible for readers to comment on each post, thus, expressing their thoughts, initiate and support the discussions. You can add as many posts as you need, save and edit the drafts, integrate the required elements by adding and editing HTML code, group the posts by categories and schedule them in the automatic mode. When it comes to your blog promotion, Wix is also worth the attention. It offers a set of integrated SEO tools to give your blog posts better search engine ranking. It is also possible to promote your blog by sharing the posts in the social networks and organizing the mailout. Google analytics, meta tags editing, human-friendly URLs, Google maps integration and other features contribute to better search engine results. The answer is obvious – it is better to create a blog on your own as this website type is quite simple in realization. Even a schoolboy can cope with the task from the technical point of view. There is no sense in ordering a custom made blog from the third-party developers, paying a certain sum of money for it. It is quite possible that they will create it with WordPress/website builder and schedule the post publishing option. However, if you have a decent budget and no desire to work yourself, then this could be a nice solution as well. By working independently, you will save a lot. The idea may be quite profitable, when it comes to the time/effort correlation. A blog is definitely not the website type, which is worth buying in the ready made variant. You will learn everything yourself in the process of blog creation. This is real and not complicated. Apart from that, you’ll be able to manage your blog on your own. It is very inconvenient to look for a developer in the most responsible moment. This is not to mention the fact that this takes time and money. Let’s initially give up on the unrealistic variants like writing a code in a notepad, using frameworks and manually-written services. It doesn’t make sense to explore this topic at all. For users willing to create a DIY blog, there are only two decent solutions – to use website builders or CMS. CMS – When it comes to using CMS, the situation is obvious – you need to buy hosting and install the WordPress distribution kit on it. Website Builder – There are multiple website builders that theoretically look appealing, but not all of them will work well for this purpose. So, we have two distinct solutions: WordPress+hosting and a website builder (we’ll define the best one below). WordPress works best for blog creation. This is exactly what you need – a specialized blogging platform, which has everything you need to complete the task. This is the choice of millions of users worldwide – they are not mistaken at all. Apart from mastering the skills of working with the platform, the success of the task also depends upon the choice of reliable hosting. We use the hosting from Bluehost – there are no complaints about it, so, we may easily recommend it. Different hosting types, including shared, WordPress, VPS, dedicated and reseller hosting. If you are interested in extra technical characteristics of the hosting, special services, traffic nuances and other features, please, have a look here. Cloud services attract users by their convenience: you don’t have to buy anything separately, install, combine or set up – hosting, template collection and the entire feature set needed to launch a website are provided out-of-the-box here. It is much simpler and quicker to manage such a website. Speaking about a blog, we mean a website that contains author materials on a certain topic: soft, auto, music, nutrition, construction or something else. To launch such a website, a service has to come up to a set of requirements. Platforms with a visual WYSIWYG editor (like uKit) frequently don’t work well for large and functional blogs as it’s not quite convenient to regularly publish text content at them. If you still face the necessity to express your thoughts and ideas regarding a movie you’ve just watched or a new book once a week, then you can use almost any website builder. Among an extensive variety of online blogging services, Wix stands out from the crowd. This is a universal powerful website builder, which perfectly works for blogs, forums, online stores and lots of other types of websites. If you plan to launch a serious blog, which is going to grow with the lapse of time, featuring new sections, advanced media network, convenient commenting system, further promotion and monetization, then you won’t go without a reliable functional website builder. It’s impossible to create a blog absolutely for free. You’ll at least have to buy a domain name. Domain registration is always paid – the cost depends upon a zone .com, .net, .pro. The cost of creating and managing a blog with WordPress (speaking about its commercial version) depends upon the plan chosen. The system has a free never-ending plan, but it works well for exploring its options only. When it comes to creating a blog, the most suitable WordPress plans are Personal (for a small personal blog) and Premium (works best for entrepreneurs and freelancers). The cost of the plans constitutes $4 and $8 per month correspondingly (when paid annually). The plans offer custom domain name, advanced design tools, a set of essential features, tech support and other privileges. The eventual cost of a blog created with WordPress will also include the price of extra plugins you may like to use (there are many of them out there), a unique template (the price starts from $40) and the services of specialists that may be required if you plan to create a module, improve a template, edit code or adjust the settings. Mind that you shouldn’t forget about the cost of hosting (in case you’re using WordPress CMS), which also depends upon the hosting type you are going to opt for. When it comes to Bluehost, hosting of a blog launched with WordPress starts at $19.99/mo and may reach $49.99/mo. Bluehost also offers other hosting types, which come with different prices. The cost of building and managing a website with Wix also depends upon the selected plan. Even though, the system also has a free unlimited plan, it won’t come up to your blogging needs. Instead, it makes sense to subscribe either to a Combo Plan ($8.50/mo) or an Unlimited Plan ($12.50/mo). They offer adequate amount of disk space and bandwidth needed to store and update your blog regularly, absence of Wix ad banners, free domain connection, integrated Google analytics and Premium Customer Support. What’s more, you won’t have to worry about hosting as it is also provided by the plans absolutely for free. The cost of launching a blog with WordPress is higher as compared to that of Wix. Although, the cost of the plans is nearly the same, you’ll have to additionally invest in extra plugins, advanced modules and the optional services of a specialist, when using WordPress. This is not to mention the cost of hosting. Wix, in its turn, offers more affordable plans as well as simpler and more convenient website management, free domain and hosting, out-of-the-box functionality. This cannot be left unnoticed. Read also: How Much Does It Cost to Build a Website? – an in-depth research of all expences connected with website building. Regardless of WordPress popularity and functionality, this CMS is still complicated for many users, especially for those, who are just starting their blogging career and are not aware of all the intricacies of working with this system type. As opposed to it, Wix is simple, convenient and understandable to everyone. So, we recommend using this service to launch and manage a blog effectively. 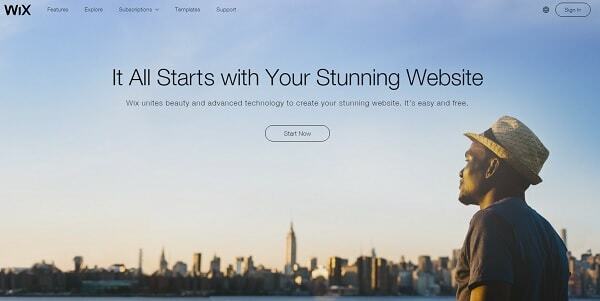 Wix is a universal website builder that provides a wide array of features and options. It is full-packed with design customization tools and offers a stunning collection of unique templates. You don’t have to possess coding or web design skills to create and manage a blog with this website builder. The service grants stunning out-of-the-box functionality, which allows creating any website types. The system is flexible, powerful, safe and easy-to-use. This is exactly what a user needs to build and manage a blog. WordPress is easy to install on hosting like Bluehost (the system will automatically install it upon your request if needed), but you’ll have to keep working on your blog development on your own. The search of plugins and their set up, security settings, bug fixing, tracking website backups and databases – all these things are somewhat exhausting and challenging. They often distract a user from managing and updating a blog. Bluehost is a reliable, secure and inexpensive virtual hosting, which works well for storing websites of diverse complexity levels – from blogs and up to more powerful and overloaded projects. This hosting ideally complies with WordPress websites, offers versatile hosting types and affordable plans. We definitely recommend it. To sum it up, a blog requires the investment of money and your personal time. This is the only way to make it profitable and interesting. Quick hosting, interesting posts, modern template, properly selected platform and pricing plan – this is what is needed for a prospective start of your business. You can try investing a minimum sum of money to test the option chosen and watch the results. Our final recommendation for future bloggers is Wix.